MILD FLAVOR. FLAKY WHITE MEAT. 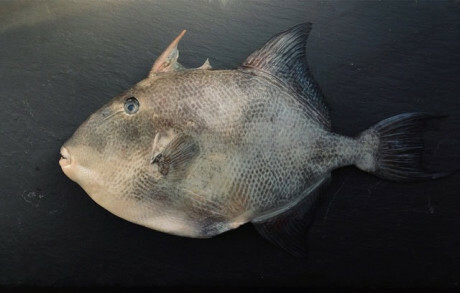 White grunt may be one of the most underappreciated fish swimming off our coast. This bottom dwelling fish spends its life eating small fish and invertebrates on the ocean floor. 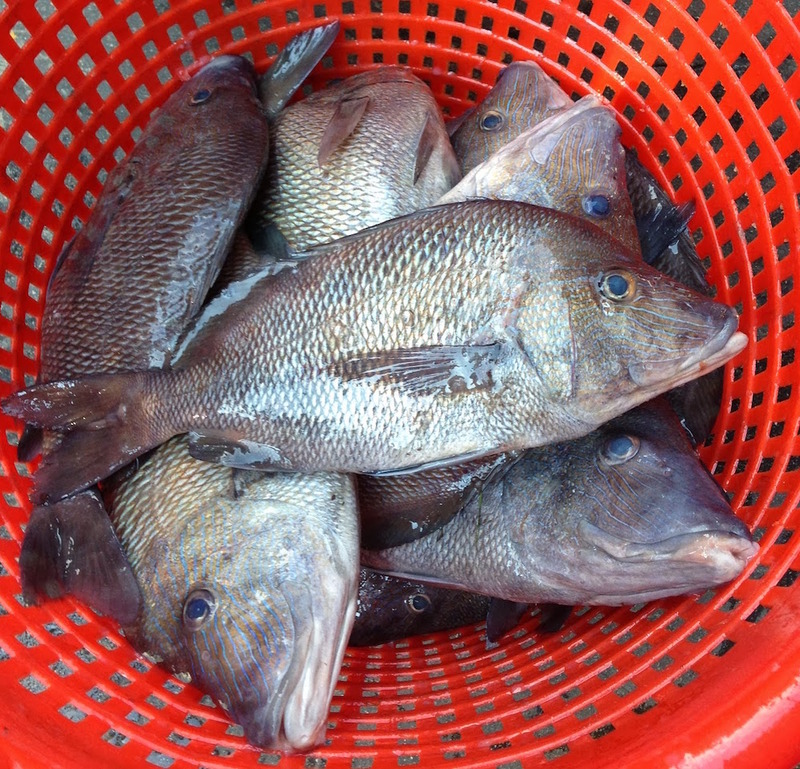 Grunt are most often caught while fishermen are targeting customer favorites like grouper and triggerfish. For being ignored for so long, this fish tastes really good. The flavor is mild and the flesh is white and flaky. 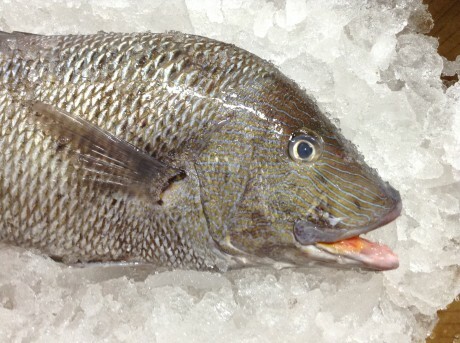 The taste has been compared to that of smaller snapper or black bass. It has an excellent skin for searing. 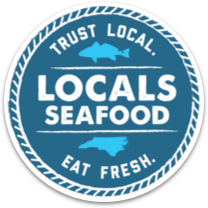 Along the coast, fishermen have been indulging in “grits and grunt,” a fishier rendition of the classic shrimp and grits. 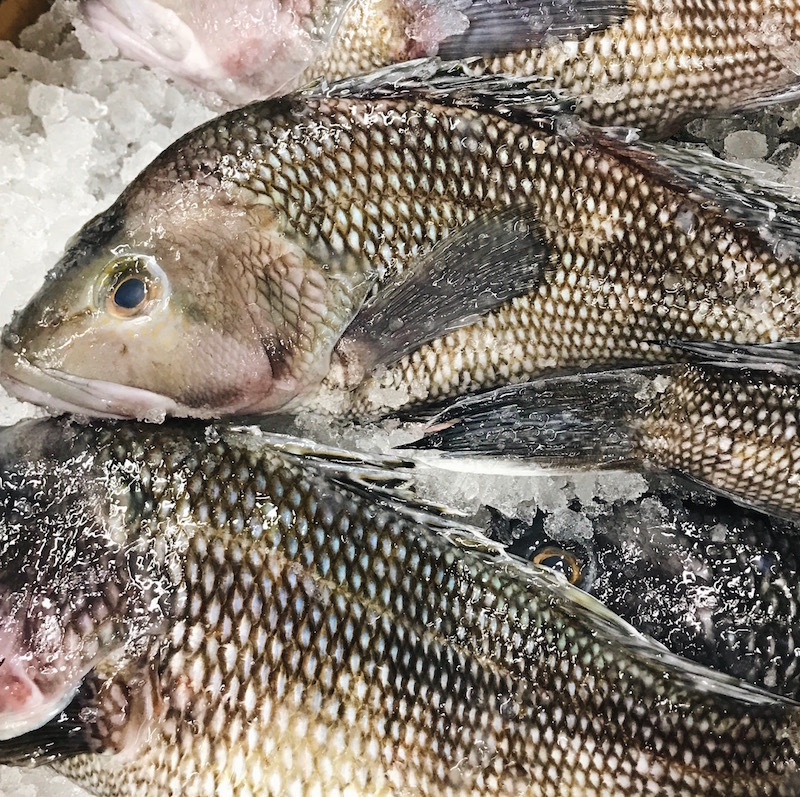 Keep an eye out for white grunt on the menus at your favorite restaurant. 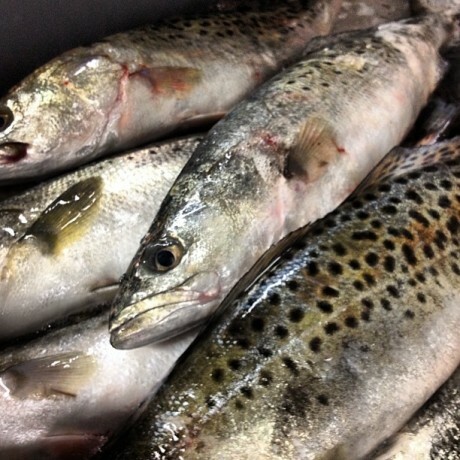 Because of its abundance, ease of catch, chefs have embraced this fish.